I received a package from another good friend Evey. She sent me what is pictured below. 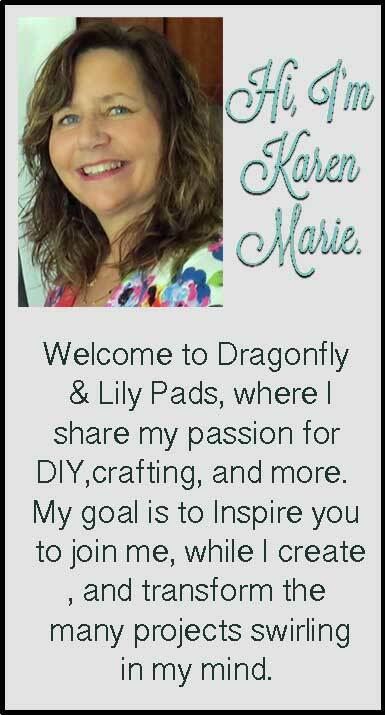 Evey is a busy lady, but you can always find her at Evey's Creations. 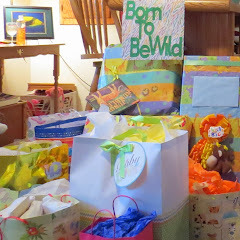 I think she is going to be surprised how outside the box thinking, a few stash supplies and $2.24 dollars created this group of decor items. 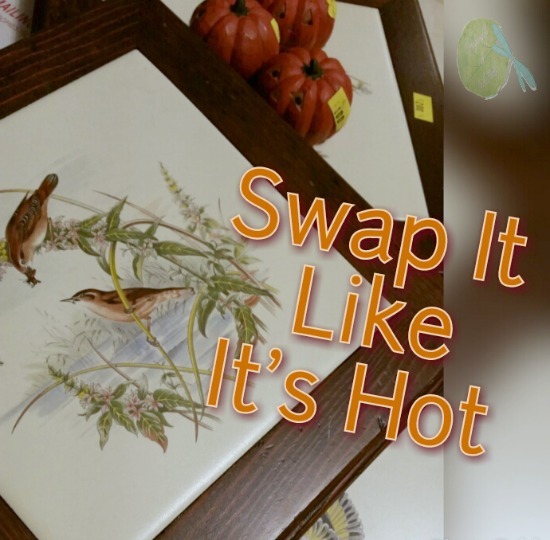 Please click on Evey's blog name in this paragraph or at the bottom of this post to follow along the "Swap It Like Its Hot," trail of packages. The pile of goodies includes a nineteen cent circle of wood I forgot to mention earlier. Did you see the smoke rising from my town? There was a lot of thinking going on to get to this point. The picture below gives you the start of a plan for the tile plaques. I only broke one of the tiles taking them out of the frame. The other two are safely in my stash for future projects. Those cute little pumpkins had me had me stumped, but I figured out a solution for the pumpkins too. 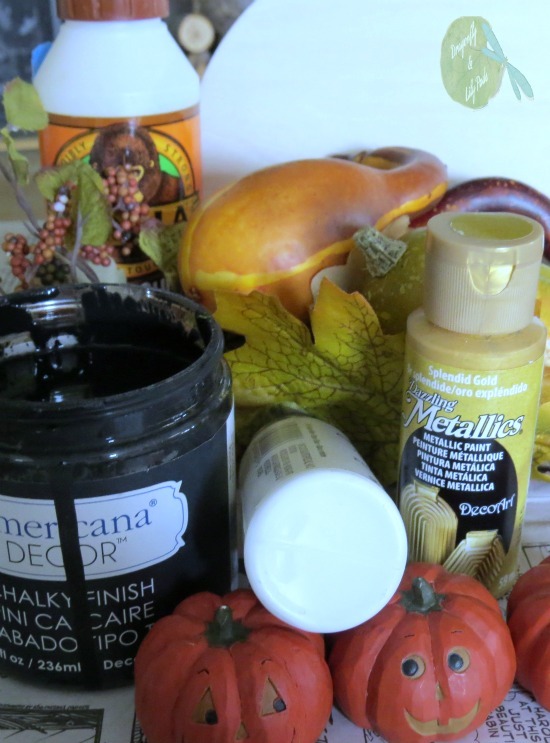 I brushed gold metallic paint over the pumpkins to make them a stand for the items I spent $2.24 at the thrift store. Then I took the round circle painted it with black chalk paint finishing the edge with a rim of gold paint. 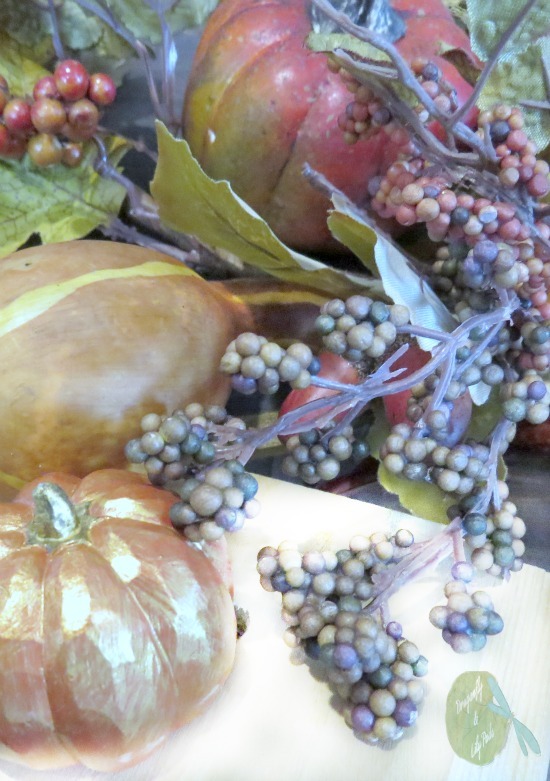 Notice that the styrofoam gourds, pumpkins and, ring of fall accents are getting some depth. Part of them are washed with thinned black chalk paint then wiped with a paper towel. I did not like how fake they looked so I did this so they began to look like that came from the soil. This is how the stand looks finished. The bottom of the design is simply the cap part of a post I painted it white then added two coats of metallic gold over that to create the base. 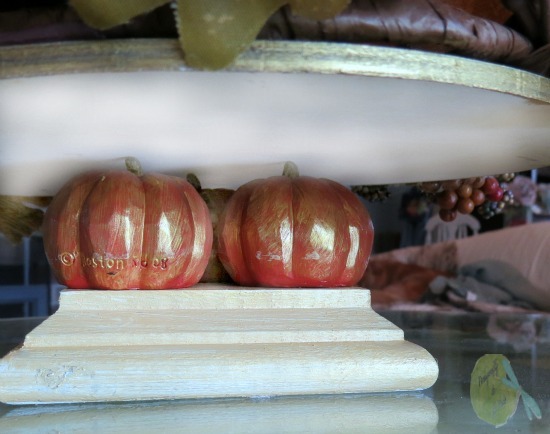 Since the three pumpkins fit on the base I placed them on the cap to hold the wooden circle. You could glue this all together but, that is too much of a commitment for me. 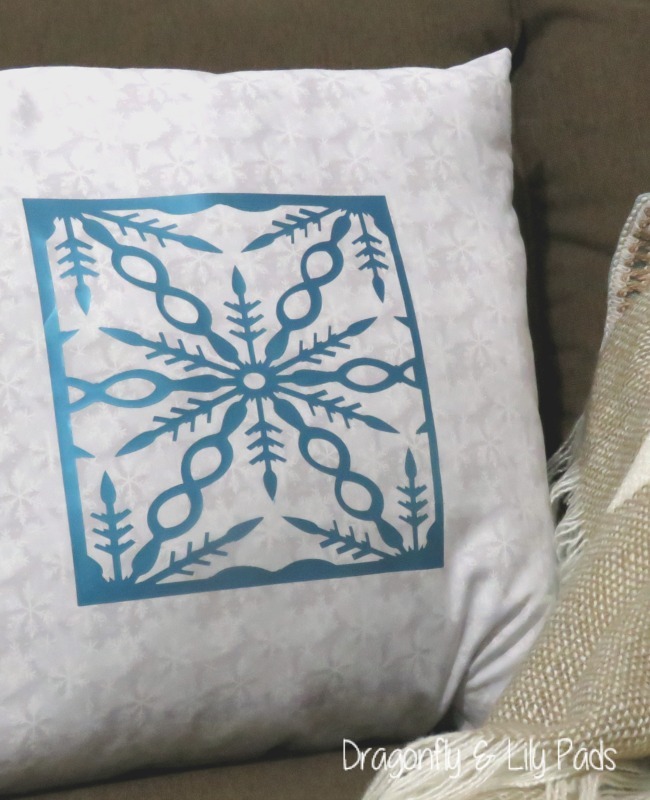 Plus you will see how I style these same decor items three way to create three different looks in a post soon. My sweet Prince Charming helped me with this Swap. He measured, cut three shelves, attached it to the bottom back of the picture frames with wood glue, finishing nails and filled the holes. I know I can do it myself but, it was my idea and I was sick. This is just one of the reasons I call him PC. 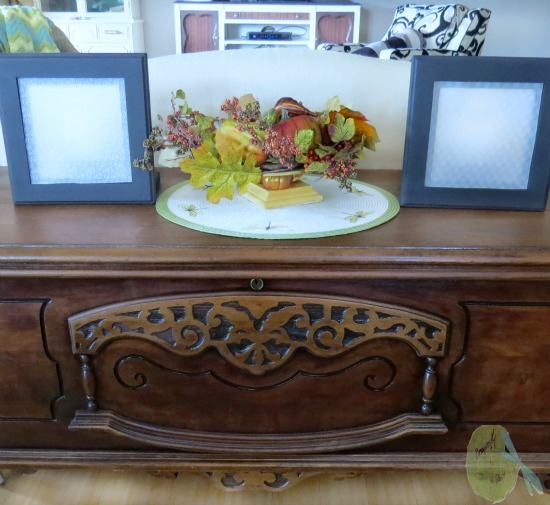 I painted them with one coat black Americana Decor Chalky Finish Paint. 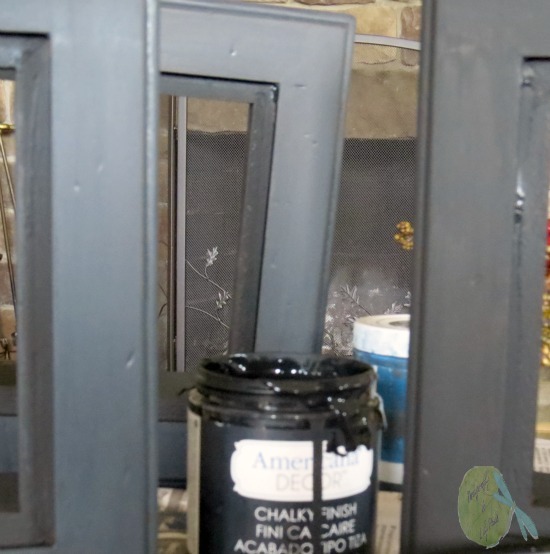 Then decided to use my custom mix (Navy) with a dab of black added from the Nautical Nod dresser Click Link Here and rubbed it off with a paper towel almost buffing it off while the paint wet. The frame with the watermark on it is plain black. I love the look because it gave them a hint of richness still keeping the black. 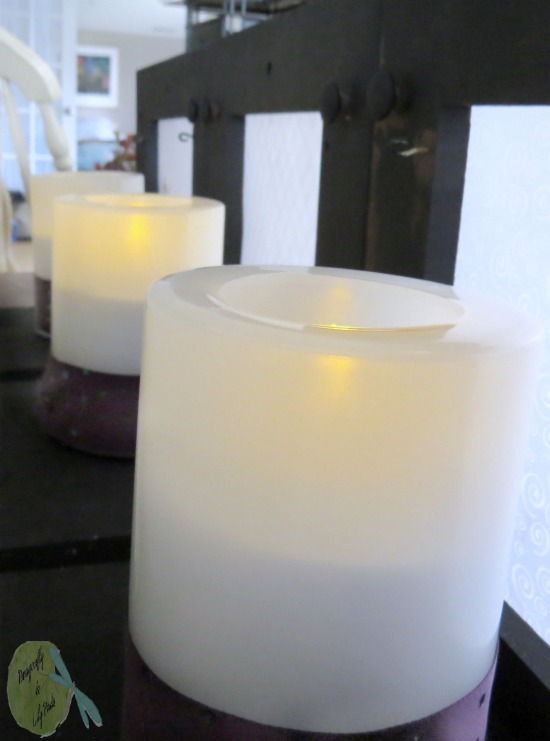 This picture shows you the wood is attached like a shelf to hold the candle The shelf is painted black. I replaced the tile as you can see with three different patterns of vellum paper. I cut each one with an X-Acto knife. I had a pretty good guess that each frame may vary some from the other. I didn't glue them in so I can change them if I want too. The thought crossed my mind to attach all three frames on one long board. I am so glad I didn't because this gives me plenty of opportunities to change it up when decorating. 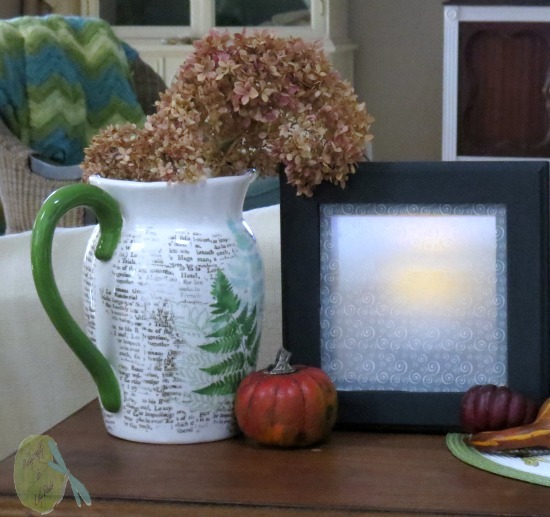 One of the vignettes I created with my "Swap it Like its Hot," treasures. Now you can see *no pun intended* why my title is "Swap It "Light" its Hot," because, my first thought was the candle idea. Can you see the little sneak peak at my lake house? Would you like to see more? Let me know it the comments because I would be glad to gather a tour together for my Darlin's. SO clever! Never would have thought to pull the tile off of those boards!!! 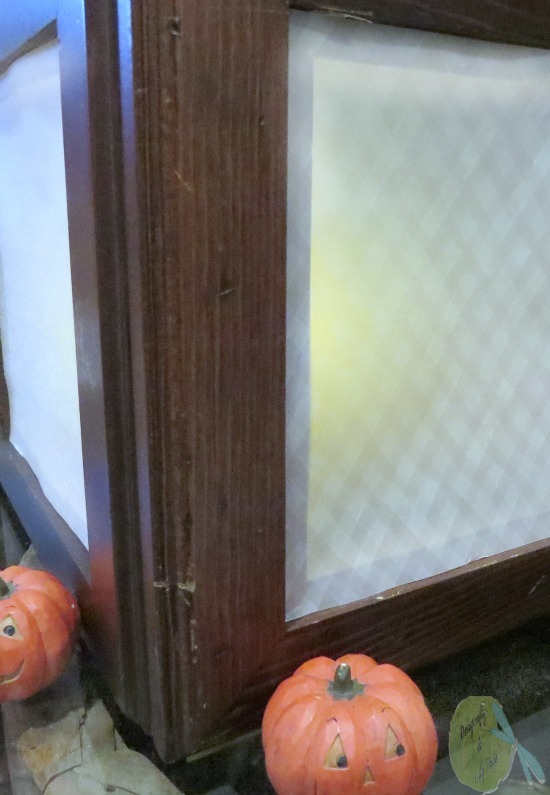 And the pumpkin stand is really so perfect for Fall decor. GReat job!! Looks great! 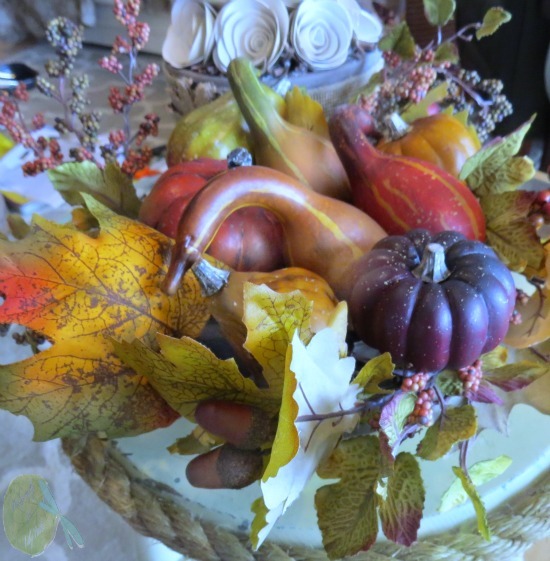 Such a fun fall vignette! You did a great job of thinking outside the "light" box! Love how you repurposed everything! So creative! What a unique way of using those pieces. Love the fall decor! 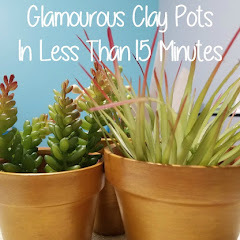 Super creative repurposing your haul! 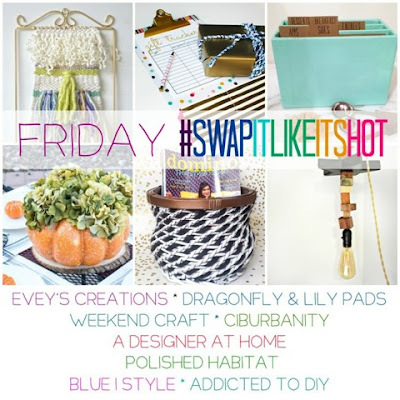 These are such fantastic swap makeovers! Love the stand and how you've styled it for Fall! What a fun challenge! I am so impressed with what you were able to create with what you were given. You are so talented and so creative! 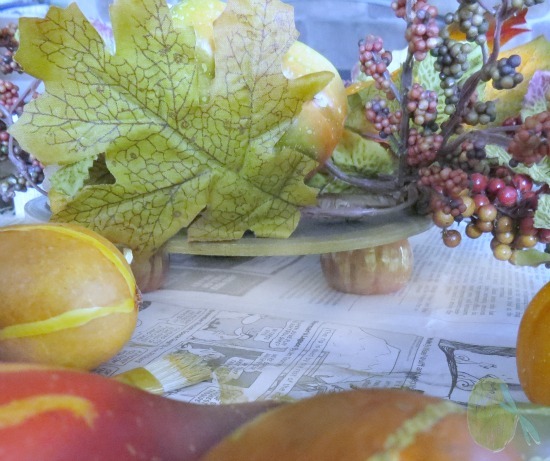 Such a lovely Fall Tablescape! What a great transformation, you did a ton of work on this! Happy fall, glad to be on the Swap with you.